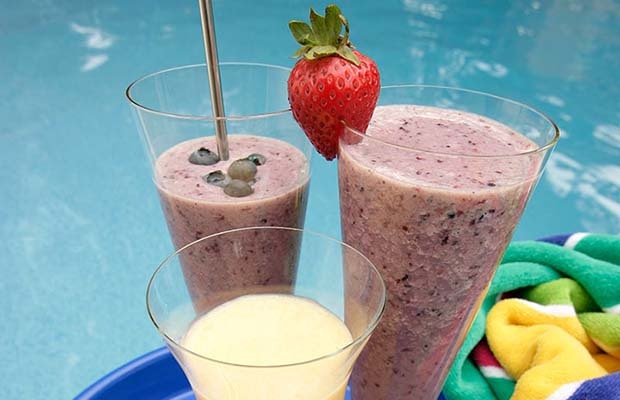 In a blender, add soy milk, orange juice, banana, berries, flaxseed and black current nectar (if using). Blend until thick and smooth, about 45 seconds. Pour into two tall glasses. Serving Size: 1 1/2 cup (375 mL). Each serving contains 2 tsp (10 mL) of flax.